In large skillet, mix dressing, butter, pepper blend and rosemary; heat to boiling. Add shrimp; cook 6 minutes, stirring occasionally, until shrimp are pink. Spoon shrimp and juices into serving bowls. Serve with lemon wedges. Garnish with fresh rosemary. 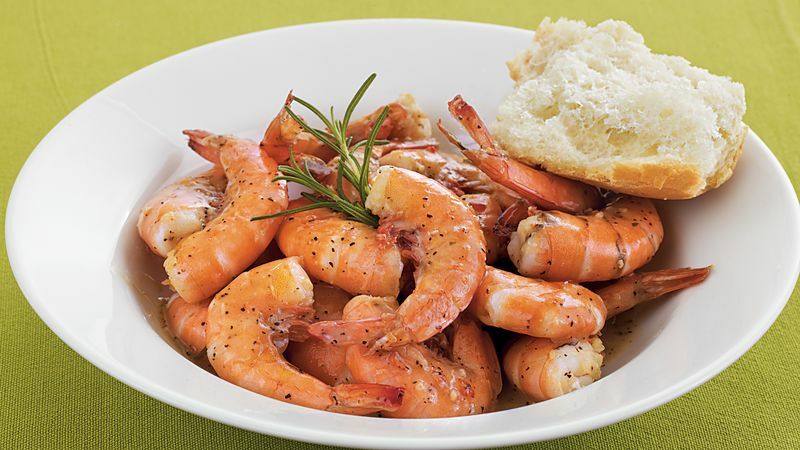 Serve shrimp with a crusty roll to sop up any juices and a green salad on the side.